Transfer back from Pompeii to rome by deluxe motor coach. Entrance tickets with skip the line. See southern Italy highlights on your first day minitour from Rome. Departure by coach heading south crossing the regions of Lazio and Campania. The first stop is Naples, one of the most enchanting cities in the Mediterranean famous worldwide for its rich history, art, culture and gastronomy, where you will take a short panoramic tour to discover its beauty from the comfort of your coach climbing up the Vomero hill. The town overlooks the bay of Naples which extends from the Sorrento peninsula to vulcanic area of Phlegrean fields, and the skyline is dominated by the majestic and still active volcano Vesuvius, offering an impressive sight perfect to take stunning pictures. Descending towards the port of Mergellina you will leave the city and travel south toward Mount Vesuvius, to reach the town of Ercolano where we will stop for lunch. The restaurant is in a first class hotel in Herculaneum, situated in a marvelous environment and surrounded by wonderful gardens dating back to 1700. Then head to Pompeii and Skip the Line to one of the most important archaeological sites in Europe and a UNESCO World Heritage Site. Through the remains and ruins of this ancient city you will learn how the eruption of Mount Vesuvius in 79 AD destroyed the city, killing its inhabitants and burying it under tons of ash. The site was lost for about 1,500 years until its initial rediscovery and the objects beneath the city have been well-preserved for centuries. So you can walk along the ancient streets for a glimpse into the lives of the Romans, discovering ancient houses, bakeries and shops and imagine the everyday life in the Roman times. 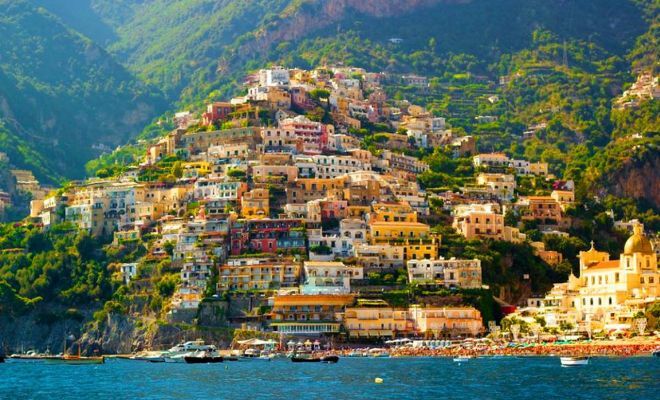 Leaving Pompeii, you will drive along the Sorrentine Coast, arriving to Amalfi. Check-in at your hotel, dinner and overnight. 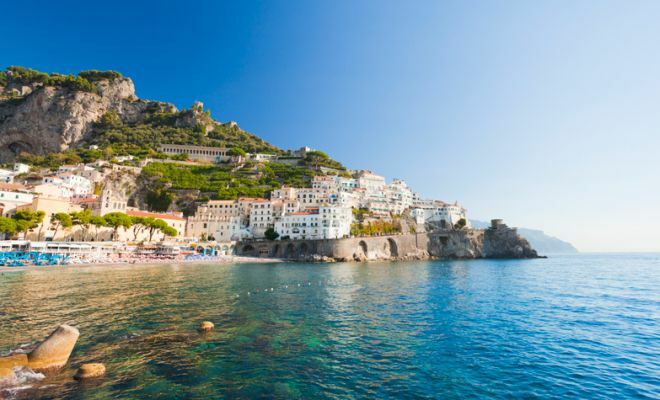 Enjoy a leisurely day exploring the wonderful ancient Capital of the Maritime Republic of Amalfi, taking in the city’s main sites, plunging into the waters of the gulf of Salerno, or sipping on some of the locally-produced limoncello. Return to your hotel for some well-deserved rest. Dinner and overnight. 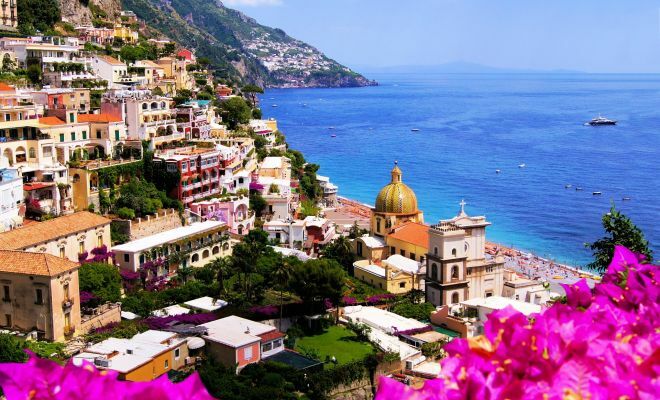 After breakfast at your hotel, spend a leisurely morning doing some last minute sightseeing or some shopping in Amalfi. Around 3:00 in the afternoon, departure for Pompeii, continuing on to Rome, where the tour will come to an end (Estimated arrival in Rome is 9:00 pm).